Maylon Ray Fowler, 78, of Cleveland, TN, passed away Friday, July 26, 2013 at the family residence. Maylon was the son of the late Jewel Elizabeth Ferguson Fowler and Willie Wright Fowler; his sister, China Adams; his brothers, Edward, Mitchell and Quinton Fowler; and his step-son, C.C. Conway. Maylon was a well-known school bus contractor for the Bradley County School Systems. He loved music and along with his brother Edward they would travel and sing. He loved playing the guitar, traveling and being with his family. He directed music in various churches and held numerous singing schools during his life. Maylon was a loving husband, father and papaw! He was a member of the First Baptist Church. Survivors include his wife, Mary Conway Fowler of Cleveland; his daughter, Sharon Fowler Bratta and her husband Bob of Knoxville; his son, Faron Fowler and his wife Kim of Hendersonville, NC; his step- daughter, Julie Conway Crockett and her husband Travis of Chattanooga; his step-sons, Joe Conway and his wife Sharon of Cleveland and George Conway and his wife Nicole of McDonald; his grandchildren, Jamey Williams and his wife Audrey of Cleveland, Nikki Bratta Hickman and her husband Dan of Knoxville and their son Nate and daughter Mollie, Robby Bratta and Christopher Bratta both of Knoxville, Wendy Fowler Hudson of Hendersonville, North Carolina; her daughter Danika, Rachael Faison and her husband Rusty and their son, Colton also of Hendersonville; his step-grandchildren, Ian and Hannah Conway, Brandon, Sean, Emily and Annie Conway all of Cleveland, Bailey and Allie Hannah of Chattanooga; his sisters, Betty Smith and her husband Odell of Dalton, Verna Lee Millsaps and Charlotte Brown of Cleveland, Janice Tatum and her husband Bill also of Cleveland, Trunisia Ownby and her husband Melvin of Crandell, GA, Elaine Whaley and her husband Wayne of Old Fort, Judy Burns and her husband Tommy of Cohutta, GA; and numerous nieces and nephews and friends. 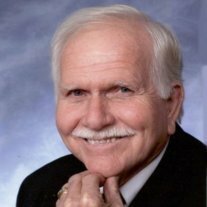 The Remembrance of Life Service will be conducted Monday, July 29 at 2 p.m. from the First Baptist Church with Pastor Jim Gibson and Rodney Fitzgerald officiating. Interment will follow in the Boanerges Baptist Church Cemetery with grandsons and step-grandsons, Jamey Williams, Robby Bratta, Christopher Bratta, Brandon Conway, Ian Conway, Sean Conway and Bailey Hannah serving as pallbearers. The family will receive friends from 4-8 p.m. Sunday, July 28 at the North Ocoee Chapel of the Jim Rush Funeral Homes who has charge of the arrangements.